From the first day you join our office, we will cater to your dental needs. On your first visit we will conduct a comprehensive examination and a periodontal evaluation. 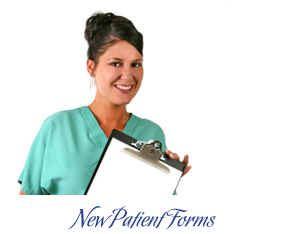 After gathering all of the necessary information, your treatment will be reviewed with you. This allows you and Dr. Dupree to develop a personalized plan for your oral care. As part of your first visit with us, you’ll fill out a comprehensive medical and dental history. These are important because they help us to determine the course of your treatment. We have to know about allergies, sensitivity to anesthetics, long-term medications, etc. A 24 hour notice is required for all Cancellations. For your convenience we’ve made it so you can fill out these forms in your own home, at your leisure, before you come to our office. Click on the links below to print out the forms. We are providers for most major insurance.